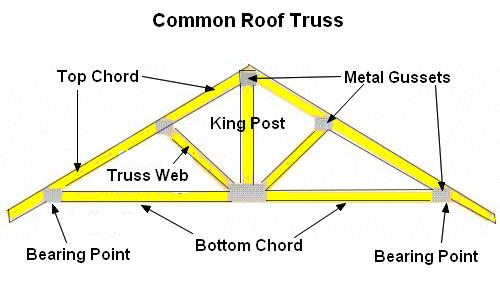 The top members of a truss are known generically as the top chord, bottom members as the bottom chord, and the interior members as webs. In historic carpentry the top chords are often called rafters, and the bottom chord is an often a tie beam. There are two main types of timber roof trusses: closed, in which the bottom chord is horizontal and at the foot of the truss, and open, in which the bottom chords are raised to provide more open space, also known as raised bottom chord trusses. The king post is normally under tension, and requires quite sophisticated joints with the tie beam and principal rafters. In a variation known as a king bolt (rod) truss the king post is replaced by a metal bolt (rod), usually of wrought iron. Structural building components are roof trusses, floor trusses and wall panels that are custom designed and built in specialized manufacturing environments. Components are delivered to the jobsite where framers install them along with permanent bracing to create the overall structural system. Structural building components should not be confused with factory-built modular or mobile home construction, although components can certainly be used in those particular applications. Long spans without intermediate supports create large open spaces architects and designers can use with complete freedom. Partitions can be moved without compromising the structural integrity of the building. 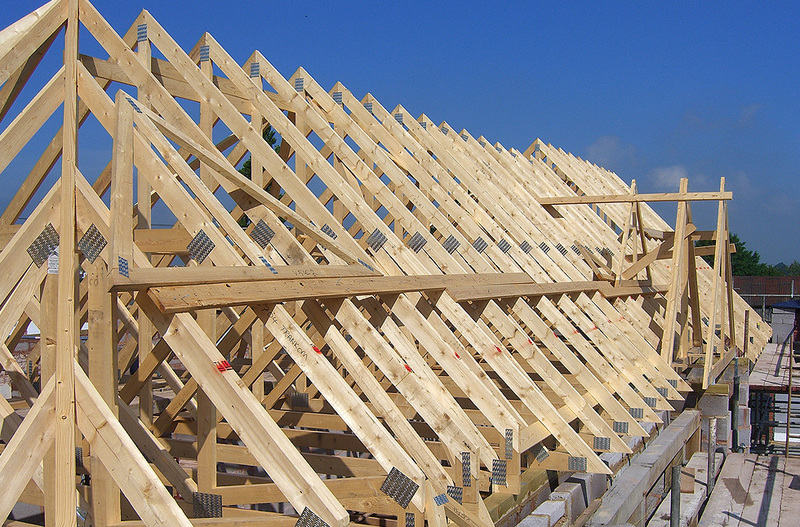 Framing a roof with wood trusses can be accomplished in half the time required for a conventional rafter based system.